To say the CPU and motherboard markets are alive would be a clear understatement. Since Spring of this year we’ve seen the re-emergence of AMD as they shifted the tide with their long-awaited Zen architecture. Unlike previous generations, AMD Ryzen has offered a realistic threat to Intel’s reign and the shockwaves are still being felt – today marks the release of Intel’s Basin Falls platform aka LGA2066/X299, something many were expecting towards the end of the year; many assume that AMD’s Threadripper has caused Intel to fast-track this new platform and we can only assume that to be the case. So today we’ll be exploring a new Intel X299 motherboard in the form of the GIGABYTE X299 AORUS-Gaming 3. 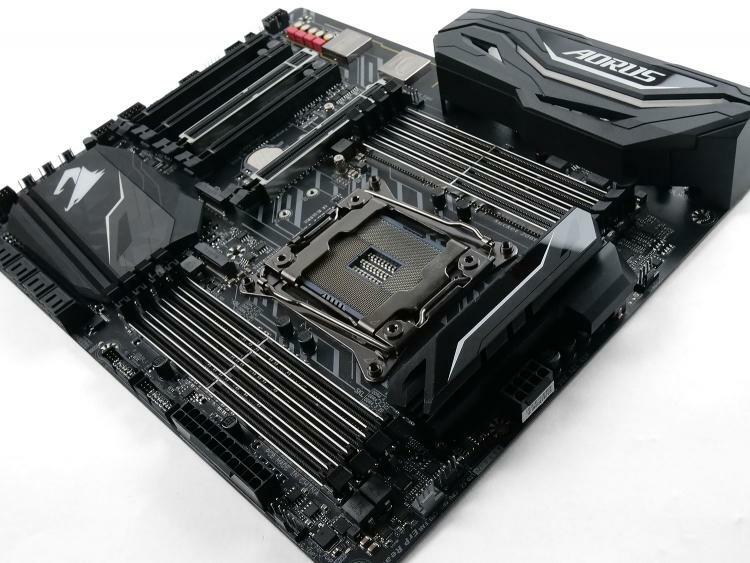 In GIGABYTE’s AORUS lineup the Gaming 3 sits at the bottom of the stack – behind the Gaming 7 and Gaming 9, both of these boards will offer greater features and a bigger price-tag. The Gaming 3 is therefore a mid-high end motherboard in the X299 range and carries with it numerous features – some of which include; dual M.2 slots, 3-way graphics card support, and server-class durability. On paper the Gaming 3 appears to have all the boxes ticked for performance, audio, connectivity and longevity – so let’s find out if this holds true!